The real estate sector in most parts of India has been a lacklustre performer over the last three to four years. Prospective buyers are seen to be shunning properties both from a consumption and an investment point of view. Most industry experts though are unanimous in their view that affordable housing is what will lead the real estate revival over the next few years. The two most important factors supporting this view are the government’s push in the form of incentives and ample end-user demand. Both those aspects have made flats in Nashik an excellent proposition for both investors and end-users alike. Home prices across Nashik have remained subdued for the last three to four years now. They peaked in 2014 and have seen a correction of close to 30% since then. In cases where prices have not fallen, prices have not risen either. This presents a ripe opportunity for investors as well as end-users to pick up their dream property in Nashik. Apart from a correction and stabilization in prices, there are other factors too that make the idea of investing in Nashik properties an excellent idea. For starters, the prices themselves are affordable, especially in the entry-level housing sector. Development in the last decade has led to the springing up of a handful of well-planned and amenity-rich suburban areas on the outskirts of Nashik city. Hirawadi, Tapovan, Adgaon Naka, Satpur, Pathardi, Pandav Nagri, DGP Nagar, Kamatwade, Ashwin Nagar, Ambad, Chetna Nagar, Nashik Road, and Jail Road are just a handful of areas in Nashik that have seen tremendous development in the last decade. Fortunately, the price of homes has not kept pace with the level of development these areas have seen, which has led to a situation where excellent properties deals can be scored. The affordable housing section in Nashik offers prices for newly-built properties (between 0-5 years old) in the early Rs. 2000 per sq. ft. range. Depending on the area and the amenities it offers, this could go up to Rs. 3000 per sq.ft. or thereabouts. In other words, 1 BHK affordable flats in Nashik with an area of roughly 500 sq. ft. can be yours for a price less than Rs. 15 lakh. For a city of Nashik’s size and development, that is a highly competitive price. The rationalizing of the housing market has also meant that lenders are now focusing on buyers in the affordable homes segment. A number of banks and non-banking finance companies have made affordable housing a part of their priority sector lending, which means these institutions are actively looking to lend to buyers of affordably priced homes. The slowdown has also put buyers with good savings at an advantage as many builders are openly offering steep discounts in addition to waiving off any liabilities arising out of GST. The final two factors that make investing and buying a home in Nashik a sound decision are, availability of ready units and the introduction of RERA. One of the major causes of the slump in real estate was that too many buyers did not receive what was promised to them on time. This spooked many a buyer, causing a majority to stay away from the market for the better part of the last five years. Things however have changed drastically in the meantime. For instance, Nashik’s inventory is full of completed projects that run into thousands of properties across different price points. So if you are looking for affordable homes that are also available for ready possession, Nashik is where you need to be. At first glance, the title might make you wonder as to what does buying a home in Nashik has to do with life being more comfortable and fulfilled. After all, a house is just a piece of concrete that is put together to protect you from nature’s extremities. However true that might be, the picture changes completely when one is referring to that piece of concrete and bricks in a place like Nashik. The city offers everything that any modern urban dweller might deem essential. It has an excellent road network and a well-oiled public transport system in place. Water supply has always been a plus point of the city with the humongous Gangapur Dam (along with five other reservoirs and dams) acting as an ample source of water for the city and its neighbouring districts and regions. Most new residential flats in Nashik offer easy access to amenities like swimming pools, cycling and jogging tracks, clubhouses and dedicated playground areas within the society premises. These factors have attracted scores of investors as well as relocating families and individuals who are looking to buy residential flats in Nashik. One of the bigger concerns for any moving family is the presence of good educational facilities for their children. Over the years, many schools of note have set up their base in and around the city. Offering world class education, these schools and institutions have changed the very face of education in Nashik. A similar revolution has taken place in the higher education sector as well. From a handful of higher education institutes a couple of decades ago, Nashik is today home to more than a dozen engineering colleges alone. Institutes imparting professional courses in the streams of medicine, pharmacy, law, hospitality, business and the fine arts have mushroomed over the years as well. The environment in which you live plays a huge role in determining the quality of your life. Nashik sports ample green cover and for a city of its size and population, boasts of extremely low levels of air pollution. The spiritual aspect is another strong point with it being famous for the KumbhMela, one of only four such venues in India for the mega festival. All said and done, the biggest advantage of buying a home in Nashik is having more cash in hand to pursue your passions in life. Affordable flats in Nashik are available in almost all of its residential areas/suburbs and skimp out on none of the aforementioned public amenities.The average cost of such a flat varies in the range of Rs. 3000 to 4500 per square feet for most areas with only premium areas commanding a 20 to 30% premium over that price bracket. A complete range of public amenities, great schools and colleges, ample recreation options, redoubtable water supply and most importantly, an affordable price tag that doesn’t put too much pressure on your finances and allows you to enjoy the finer pleasures of life. Now that certainly qualifies as a comfortable and fulfilled life! Having a home of our own is a dream every individual see day and night. Nowadays home loan act as a helping hand that enables you to have a home of your home. But paying back the home loan often feels like a bag of rocks sitting on your head. Yet, home loans are not always a source of worry. Like every client has two faces, home loan too, show similar traits. If they cause some problems, then they also offer you some benefits as well. Yes! Taking a home loan gives you some tax benefits. 1. REPAY THE PRINCIPAL AMOUNT AND GET A CANDY (tax benefit) FREE!! Under section 80c of the Income Tax Act, you can claim the tax benefit for the amount of EMI being paid for the repayment of the principal amount of the home loan. But here comes a warning signal! You can claim only when the home loan is taken for properties that are fully constructed. Thus, if you have taken a loan for properties under construction then I am really sorry, you are out of the group of people who can enjoy this. Hence, you need to present the completion certificate of your property before claiming the benefit. Another thing to note is that you can claim a maximum benefit of Rs. 1.5 lakhs on principal repayment. 2. INTEREST ALSO HAS SOMETHING TO OFFER! Under section 24 of the Income Tax Act, a tax benefit of a maximum of Rs. 2 lakhs can be claimed for the payment of interest on the home loan, after the completion of construction. Interest paid prior to completion of construction cannot be deducted directly, but section 24 gives you some relief by providing you with the option to aggregate the pre-construction interest and claim as an extra deduction in five equal installments for five succession financial years, beginning from the year when the construction was started ( with upper limit of Rs. 2 lakhs). BUT! If the construction of the property is not completed within three years of issuing loan then you are no more eligible to claim the tax benefit on payments of interest. In case the property is not self-occupied by the owner and is given our for rent, it is possible for the tax-payer to deduct the entire interest payment for a particular year, without an interest payment (yippee!) . 3. REGISTRATION CHARGES AND STAMP DUTY HAVE SOME HIDDEN CANDIES TOO! Section 80c of the Income Tax Act provides a tax deduction for registration charges and stamp duty . However, you can enjoy this benefit only in the year when these extra charges were paid. For more go to Indian Realty Exchange. While you are searching for a new place at a nearby proximity, you tend to become very choosy at times. In any way or every way, you want to grab the best homely dwell to live in, after all you don’t want to miss the opportunity to stay in the most classy way. Well Ajnara group brings you one of the choicest project named as ‘Ajnara Klock Tower’. It’s basically a brand new development which is a total ‘live life king size’ in all perspective. It’s a bang on architectural masterpiece that has one of the best infrastructure, cost and amenities. Since its launch, this construction is taking the noida mass with its extraordinary way. From outside this space looks one of a kind with the color combination of cream and brown that looks absolutely royal and a business class choice. Now taking a glance at the interiors or the flat types, you get 2,3 and 4 Bhk in numbers which is a total treat for the new home seekers. With this you also get some selected sizes in the volume those are 1075, 1295, 1495, 1795, 2195 which makes it more convenient for an accommodation. Taking a slight sight at the prices, will surely make your jaw drop, as it starts from a BSP of 3600 per sq ft, and an overall expenditure amount of 38.70 lacs. Ajnara Klock Tower Noida basically has destroyed all the myth about getting an old school place that has venerable inner and outer decoration. 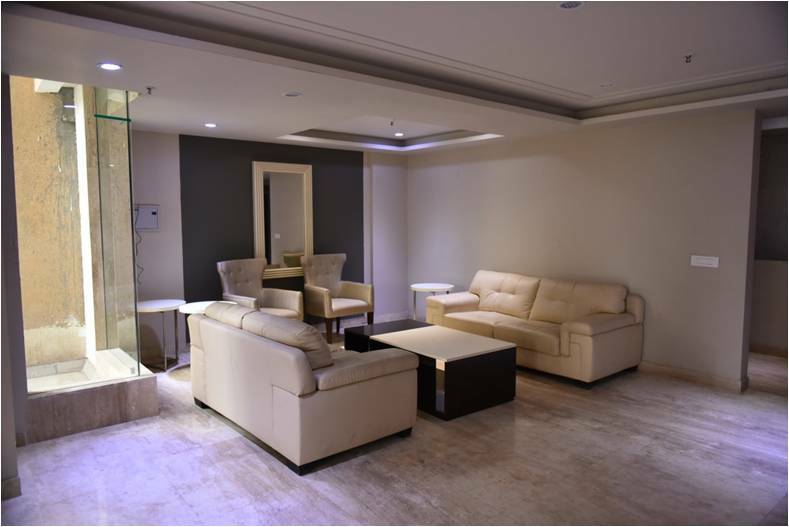 As it has given us some selected amenities that are absolutely plush and lush from all corners. Well yes, it has a prefunction lobby, a welcome lounge, a sports area, a reception lounge, a banquet place etc, and these all are put on together for special functions, events, get together, grand celebration etc. These extra figuration makes the project more bountiful and lively for the people who are an absolute party animal. Basically from every nook this living area has proved to be an ultimate option for the urban folks. There are certain other necessities as well in this; those are a park stretch on the front side with sitting areas as well as kids playing section, parking space also located at the front view. In overall it’s an outstanding deal to relish. So what are you waiting for, go and grab (Ajnara Klock Tower Sector 74 Noida) the opportunity of booking with this ace space. Ajnara Grand Heritage has announced the triumphant of glory with this contemporary minaret named as “Ajnara Klock Tower”. This new innovation has all those fancies that a person dreams in his homely space. This project is brilliantly located at noida sector 74 which is considered as a central area. You can experience a whole new environment with this creation, basically in the interiors you get 2,3 and 4 Bhk flats that have satiated furnishing which includes floors specifically and except that you get doors, windows, lobby space, kitchen area etc. Each and every tinkle of the tower has been crafted in a very innovative style. Exteriors of this place also has a depth of bewitching beauty be it in the overall structure or the balconies as well as terrace space, everything has been evenly cemented and fabricated. If you take a look at the surrounding area it is filled with lush green field, which makes it an eco friendly space. Klock tower has taken our breath away with its enormous services. There are several recreational activities headed in this project, they are swimming pool, clubhouse, playing ground at the front side, park etc. Ajnara Klock Tower Sector 74 Noida land has been authorized by DDA,GDA and Noida Authority, people of any class can book this space be it a middle class or a high class. Over here its not only a jewel development but its cost cutting as well, yes the price line starts from 38.70 lakh which is very astonishing and surprising, as you are getting all kind of lush availabilities in such a meager amount. Well in this there is a bit of segregation that holds on a BSP of 3600 per sq ft. this makes it more convenient in case of comfortability, luxury and affordability. Each and every value is synchronized in some way or the other. Now with this note let’s see what are the highlights of this newly dewly project, well it starts from running club membership, running swimming pool, metro connectivity upto 300 metre, available all sizes on all floors, gymnasium, park and galleries filled with lush green trees and shrubs, over 1000 families already living over here, so these all were the main key points or the core amenities of this place. Now again moving on to the interiors, (Ajnara Grand Heritage Klock Tower) the rooms have a good stretch of 1075, 1295, 1495, 1795, 2195.so what are you waiting for, go and book your dream dwell at the latest booking prices. Everything today is turning expensive and everyone wants to save time as money and time are of the great essence these days. Keeping that in mind, it has been witnessed that Delhi and NCR homebuyers are coming to grasp the fact that the court procedure has turned very expensive as well as time-consuming. The homebuyers now think that collaborating with the real estate developers by funding for the completion of the projects by paying off dues and checking whether the project is finished on time. Because approaching the courts lead to even more delays. It is more likely that when you solve a dispute by amicable negotiation, the chances of settlement wherein both parties are benefited are higher than in the case of court settlements. Homebuyers in India prefer entering into contracts only with registered agents, contractors and builders, they restrain signing contracts with strangers. Not just faster and better settlement, collaborating with developers of your concerned project also helps in developing the factor of trust between both the parties. In cases like these, the builder needs to take approval of the representatives of the buyers to withdraw any money from the escrow account. There have been cases where buyers are waiting for five years for the court to settle the dispute whereas when the association of buyers negotiates with the builder of the concerned projects, things took a faster speed. In the book by Jerome Auerbach, ‘Justice without law’ he estimated that in 1983, over 75 per cent of the disputes between builders and buyers were resolved and settled through Private negotiations. There are, till date many disputes which are resolved using private arbitration as court’s process are highly time-consuming. When buyers decide to choose their association to settle the dispute, such associations ensure that the disputes are solved faster and on time and also at a low cost for both buyers and builders. Since we all know that the needs and requirements of every buyer vary. Hence legislations like the RERA 2016 would impose a ’one-size-fits-all solutions for home buyers. The private settlements would create services which will be customised as per the needs of the home buyers. Such private arbitration would also help in setting an example for the government agencies, regulatory authorises and courts. However, the only flaw with this method is that it is often seen that the punishment is not proportionate to the crime. But the private associations of the home buyers have tried to find some resolution which is acceptable by both the parties i.e. the buyers and the builders. For more go to Indian Realty Exchange. The New Delhi Municipal Government is all set to take the Delhi real estate to an all new level. The body that was established in 1927 is now changing and upgrading the working and functioning of the government. The body now has fourteen facilitation centres all over the city and also now one has the facility to contact or ask their questions to civic authorities just by chatting on WhatsApp. The NDMC have smoothened the process of getting approval by sanctioning the approval of building plans and projects online. The process has turned less time consuming than what it was earlier as in the case of the online process the approvals are granted in almost half the time. The process of granting approval earlier took around 60 days which is now shortened to almost 30 days. Also with the system of single clearance window, now people don’t have to hover from office to office for approvals and grants, they will all be sanctioned through a single source. This is a hassle free method wherein there will be a single window for sanctioning of all the approvals. This will also help is saving of time that is consumed in running to multiple offices and agencies. Also know All you need to know about Transit Oriented Development. The process of online approval is also not a complex one. One just has to visit the NDMC website, select the ‘online building plan approval’ link, and then create a login ID by providing her or her personal details; they upload their project drawings (pre-DCR format) and also the project information. Once the no of floors and the area covered in the project is mentioned, the fee for plan submission and building tax is shown automatically. After that a ‘challan’ is generated and then the person can pay using an online payment gateway. After you make the payment, a building scheme number and also a date for site inspection will be given through an SMS. The site and scrutiny report will be forwarded to the higher authorities and other charges for approval will be generated automatically. The information about the additional charges for approval will be sent to you via email. After one pays off all the required charges, the approval plan will be provided to them in a PDF format. These processes will help ease the functioning and also help in better utilization of resources and funds. The process will help save time, which is consumed by both the parties in the process of offline approval. For more visit IRX. Ajnara Daffodil as the name suggest, is a place where you will get the peace and divine of life with the bashing environment and the aura that it creates. It is a place that can never go wrong with the basic amenities and innovative highlights. After all why not, it’s a DDA and noida authority approved land. Ajnara is a trusted developer since several years; it has given its dedication and hard work in design, quality and construction which is of course a needful thing. If we talk about the exteriors or the interior both have innovativeness. Well the exteriors have a nice color of white and brown which is quite uncommon. There are individual balconies and sky facing terrace. A columnar formation is halted in between which looks very unique in all aspects. The crown area has a very different formation. The windows have a blue color tinted covering which has a shiney surface. Whole of the structure has an aesthetic characterization, even the surrounding have green space all over which makes it an eco friendly space altogether. Let’s see some of the recreational activities of this project, well it includes A clubhouse named “Ajalea”, swimming pool, amusement park, sports complex, jogging track, inner and outer paths etc. Ajnara Daffodil Noida have amazing interiors like there are cream coated walls with well furnished decors like wardrobes, walls, individual archs, sitting places in the mids of the park etc. basically the outer part has very sober instincts, be it eco friendly surroundings or others, there are industrial as well as other pathways also included in this. It is situated at Noida Sector 137 which is quite a convenient place, as it is connected to few core places like noida habitat centre and more. In overall the place has a very vibrant flowy environment that grabs a buyers mind in all perspective. This project also connects to Noida Mathura Agra expressway which makes it more convenient. Now lets see some of the highlights of this project, which says that it has vaastu and feng shui,10 mins drive from sector 18 noida, earthquake resistant structure, beautifully landscaped gardens and many more. This flat has all the beneficiary natural elements which makes it complete. Everything has its own individuality over here so what are you waiting for go and book your dream flat now with one of the best projects. Supertech Eco Village 3 is a natures heavenly gift which has lush green area of land that holds our breadth. Each and every nook of the place has a fresh flawless valor, if we talk about the exterior, whole of the building is coated with blue and cream paint which looks so soothing and is a divine to our eyes in all perspective. The paths and pavements that are in the surrounding are also filled with dark green grasses. It is placed beautifully at greater noida west, there are individual balconies and terrace space in each edifice that is of course a needful thing in some aspect like having social gathering, parties, events etc. the yellow flowers that are festooned all over look so gorgeous in every way. With this if we talk about the interiors, there are 2,3 and 4 Bhk flats with well furnished decors like walls, doors, furniture’s etc with velvety cream coated instincts. This project has been bought by RK arora since the year 2005, which is quite a long time or you can say a decade of span in this case. There is almost G+21 floors decorated beautifully one on the other. It is a low land pricing area, which can also be said as one of the most affordable spaces in all. There are few selected places that are at proximity like crossing republic. Location is very suitable with ample amount of bliss. Supertech Eco Village 3 Noida has several recreational activities that are subsided in it. Like there is a loreal beauty salon, go karting track, a video game arcade, laundry support, a table tennis arena inside the shopping complex. You will get to experience each and every modern day facilities. According to investment or buying, this place is an ace I must say. There is a small swimming pool in between which again looks very beautiful with the way it has its exterior. There are almost 70% space that is converted into eco friendly area. In recreational activities we have more into this like Gymnasium, Clubhouse with varied space in which you will find few indoor and outdoor games both. Now let’s see some of the highlights in the same, well there are few selected ones like 3.25 acres central park, ultra modern clubhouse,24*7 security and power back up, swimming pool and kids zaccuzi, vaastu certified township, eco friendly design, constructed on a 3 side open plot, it is linked noida expressway which makes it more convenient for the travelers, pari chowk and night safari in close proximity. So what are you waiting for go and book your dream flat now. Saviour Greenarch is a project that is basically a joint venture of savior builder’s pvt ltd and new way homes PVT ltd which is a superb add on in this path. It is considered as one of the preeminent places to stay with superb exteriors as well as interiors. As you see the exteriors it has a nice finish with brown and green color. Over here you will also get to see individual balconies with a serene texture. a huge terrace is there in each build up which can be accommodated for parties, special occasions etc .In the crown side you can see a square shape thing with some different kind of texture. Now moving on to the interior there are two types in this that is 2 and 3 Bhk which again has well furnished floors as well as the furniture’s, walls have a fine finishing with white creamish paint which can also be considered as plastic paint. Other rooms have a grass and granite texture sprinkled all over the infrastructure. Floors are brownish yellow in color, rest it’s on you how the decoration could go accordingly. 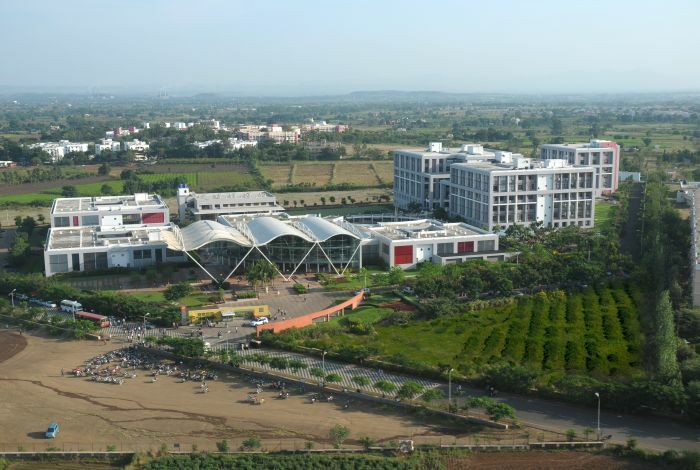 Whole of the surrounding is spreaded with green which makes it an eco friendly hub. Saviour Greenarch Noida. The best part in this is that there is a 10 acre green breathing space which is a needful thing as everyone needs fresh environment to rejuvenate themselves. Saviour Greenarch Noida Extension has a buzz and a branch full of recreational activities that is again needed in a place where you dream of luxury and comfort together. This cushion and curtain scintillated dwell can never disappoint you after all the view from windows are so embracing and enticing that you can’t live without it. Well the frivolous alliances include swimming pool, Gymnasium, spa and sauna, parks with jogging track and cycling track. There are sitting spaces on the outer side so that people can sit and relax for a longer time. Not only this there are more in this like pavements in the corners for an easy walk over. Lift passages are there for easy access in case of going from one place to another. 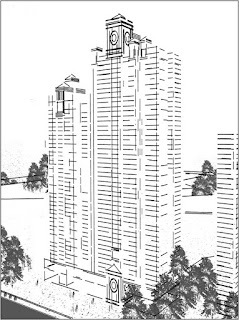 Now let’s see some of the highlights in this,that includes compact floor plans,4 lifts in each tower, proposed metro nearby,24*7 security, power backup, Hospital and schools at a proximity which is again a needful thing in this case. So these all were the main points about this project, so what are you waiting for go and book your dream flat now. Paarth Goldfinch is a golden creation by “Paarth Republic”, where you will find each and every comfortability and grandeur together. It is among the seven states that are associated with the same. As the name suggest, it has an amazing infrastructure as the buildings have a nice color of cream and brown tint. The windows have a bluish crisp in it which shines beautifully in the day light. There are almost G+14 floors with 2 and 3 Bhk flats with well furnished decors which include wooden floors as well as tiles all over; even the paint also shines at its best. It not only gives residential spaces but retail and commercial as well for people who are coming there to live in with all their hearty souls. Whole of the area is covered with lush green fields which makes it an eco friendly environment too. There is a semi circle band that surrounds the inner half that looks stunning in all aspects. This place has been constructed with all grace and dedication. Amidst natures lap this bountiful venture has grabbed all our minds with the extra allowances it gives like a huge space for a clubhouse and many more stuffs that is obviously an important aspect to spend our leisure time. Paarth Goldfinch Lucknow has several recreational activities like a huge Gymnasium, well build up spa and sauna, sitting spaces, Swimming pool with fresh and clean water, changing rooms in the surrounding. Moving on to the interiors again, it is very spacious with wooden floor and white color plastic paint sprinkled all over. The outer space has a very sheer serene grounding with unsullied attractive elements that includes vibrant flowers blooming all over. In the buildup there are individual terraces in which you can organize public gatherings and parties in special occasions. Whole of the area has a nice royal urbanish finish that again takes our eyeballs after all who doesn’t like comfortability and lush together. Each inch has a nice bluish color in the enclosing. Now let’s see some of the highlights that implicates sports facilities, 24*7 security service as well as CCTV servellience, Beautifully structured crèche, conference halls for meetings and seminars, proximity to harbajhan singh cricket academy, unisex saloons with trained professionals and beauty experts, commercial towers like 5 and 4 star hotels, branded apartments, biggest shopping malls and a business centre in the closest circle. (Paarth Goldfinch 2 & 3 Bhk) These all were the highlights of this place, I am sure you liked it, so what are you waiting for go grab the opportunity of booking with this space. Fashion Crown or Fashion homes are a new venture that is located in Lucknow. It is a super deluxe dwell that consist of all the lush amenities be it the interiors or exteriors, each and every piece have a touch of serenity and grace. From outside the build ups have a nice cream and black color finish that looks very superior and solitary in all sorts. Even the windows and plastic wall finish keeps a nice design, in case of the flooring there is a very unique texture which is in color of red and cream, it looks truly superb. Floors are made of wood which is light and sober, furniture’s as well as walls are also white ceramic coated. Basically it is inspired by the ace tv fame Micheal Adams. From outside the structure have several floors with individual balconies and terraces. Whole of the property is surrounded with lush green fields which makes it an eco friendly hub in all. Not only this there are various other thing in this as well like the 24*7 security services, water supply and more, it is basically an overall space of 5250 acres which is quite a huge area. Over here you get affordability and luxury together which fulfills all our need to the most. In Fashion Crown Lucknow There are many recreational activities over here which have a different customary altogether like stigmatized swimming pool, international standard gym, jaccuzi, steam room and some other extraordinary allowances like meditation centers with trained professionals, Hi tech golf area for golf lovers. fashion crown lucknow future endeavors there is a sky lounge going to be launched, its considered one of the plush developments in the history that can never disappoint any one. Lucknow people have a treat for themselves after all; it’s a grand opportunity to book a new house with this innovative concept. Indoor and outdoor sports activities keeps people occupied somehow, the brown and cream architectural designs. Views from the windows are so fresh and mesmerizing that you can’t live without it. Keeping this point in mind let’s see some of the highlights in the same. Well this includes an eco friendly zone that is filled with lush green shrubs on the pavements as well parks with sitting areas, So that you can sit and relax for a long time and get lost in the environmental aura. There are homes inspired by ‘Fashion Tv’, Wi-Fi enabled zone, modular kitchens and fully air conditioned rooms, located near an 18 hole golf course spread, so these all were the key points or you can say the main points of this project. 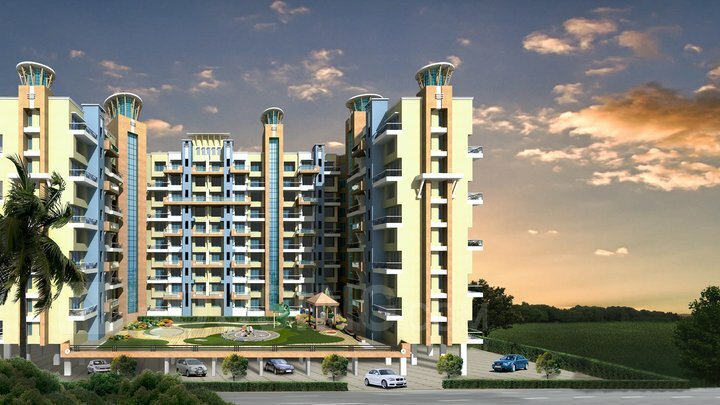 Godrej Eternity Luxurious inside design and needs right here consist of high-quality physical. The creator notifies that bed rooms right here include of wooden floor actions while various other locations are likely to be fashioned with designer tiles such as vitrified tiles, brought in marble etc. Residential complex spread over 18 acres, Expansive state of the art clubhouse2 & 3 BHK apartments, Exquisite landscape views, Courtyards and activity terraces, Total Number of Apartments - 889, Structure - G+3, Excellent connectivity to major commercial hubs of Bangalore via NICE Ring Road and Outer Ring Road Regarding the positioning of balconies and exclusive supplies, make use of these for practical needs or artistic enjoyment. Godrej Eternity views of the Arabian Sea without getting privacy fraught is yet another feature of luxurious abodes provided right here. Luxurious gatherings can be arranged in sky sceneries of 3 sizes. Godrej Eternity is a luxury residential apartments project from Godrej Properties. It got 18 acres of land to perfect program this awesome elegant task. Convenience and safety of the inhabitants have been provided due attention. Besides way of living functions, different safety features have actually also been made component of Godrej Eternity. Fire sprinklers, RCC framed construction and CCTV digital cameras are some of the plans applied to safeguard safety. 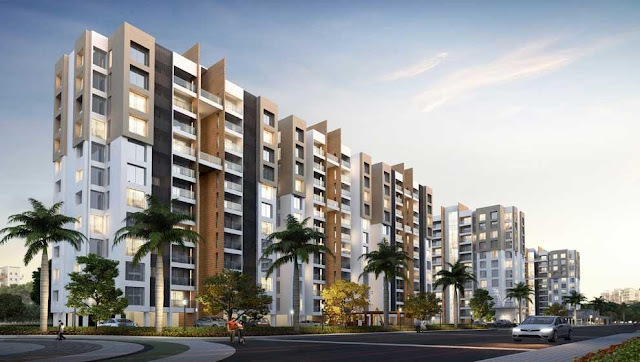 Godrej Eternity Parade is situated in Kanakapura Road, Bangalore. It is located in Kanakapura Road. In its area lie Godrej Eternity Bangalore. The project is situated at a prime advertisement exactly where crucial junctions can be reached naturally via highways, expressways and metro roadways. Working experts living right here can attain their certain workplaces only in 20 times drive by vehicle. Couple of minutes’ drive on smooth roadways will lead you to essential areas such as colleges, shopping centers and commercial rooms. Financial investment in property in this area will in adding be beneficial. Migsun Wynn is a super luxurious stay that is located at ETA 2 Greater Noida which is I am sure a convenient place to live in. with the California environment be it the interiors or the exteriors there is a lavish tech and tone sprinkled in its each nook. As you can see the buildings have a nice sheer color of cream and grey that looks stunning in all form. There are small and big build up’s in every area which has shinning windows as well as cream cemented walls. Crown of the build up’s are triangular in shape with diamond judded type materials spreaded all over. Well if we talk about the interiors, the floor work has a very innovative reddish grunge texture on its mids and ends that looks very unique. In the room you can see cream tiles which add on bliss to the beauty. Furniture’s also have an ultra sheer wooden as well as black glass finish that again looks very modish. It has multi high rise apartments that have 25 floors with 2 and 3 Bhk as its types. Over here you will get each and every comfort plus prolific substance, whole of the development is made with cutting edge technology for which it has gained so much in its base that makes it a complete exotic dwell in all perspective. Migsun Wynn Greater Noida carries an extrinsic value to its amenities as well as surrounding. This project also has a green coverage which makes it an eco friendly hub, it is basically a 3 side open plot that adds on to the attraction, and even the doors have a touch of tranquility. This living paradise have some of the special recreational facilities that includes basketball court, Gym, sauna, swimming pool, clubhouse, community centre, Jogging tracks etc which are a needful thing. It is connected to places like noida, Delhi and Ghaziabad that acts as some of the important places. Size options vary from 1060 sq ft to 1650 sq ft that is quite a huge space for breathing. Well now let’s see some of the highlights or the key points of this venture, starting from the scratch there is a 3.25 acre central park, Ultra Modern Clubhouse, Swimming pool, kids pool jaccuzi, pari chowk and night safari at a close proximity, Near Buddha international Circuit, it’s a vaastu certified township, metro 500 metre from the exact location which is a treat for the regular travelers. These all were the main points of this Endeavour that is truly a peace in our hearts. So what are you waiting for, go and book your dream flat now. 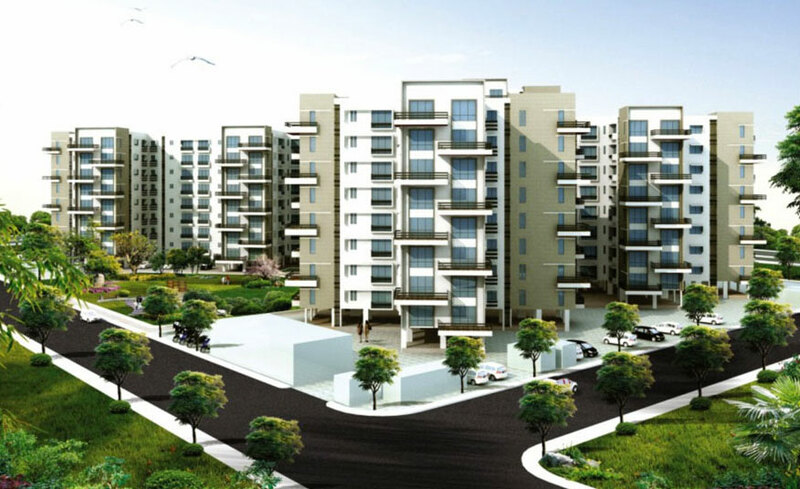 Paarth Humming State is a prominent development of “Paarth Republic” which has created its niche with flying colors. This place provides you with the best in class amenities as well as classy decors are it the interior or the exterior. These plush apartments have captured each and every eyeball by its start. This place has a spread of several acres, as you see the exteriors, it has some amazing build ups like the building in between with twisted structure that has some shimmery particles all on its body which are the windows for actual, it looks totally stunning with its appearance. There are individual terraces on each edifice with spacious valor for special celebrations; there is a small swimming pool on the either half of the terrace which is a private one for the refreshing day and night. Basically it’s a new name to comfort and grandeur. There are some buildings as well on the other side that has the same architecture. Each and every surrounding is sprinkled with trees and shrubs that make it clean and green as well as fresh. If we talk about the interiors it has 3 types in that 1, 2, 3 in which it’s your choice of how and what kind of space you want. It has nice marble flooring and walls are painted with an extra serenity that adds on to the beauty of the room. There is wide roadway at the back of the property which is a needful thing if you are a travelling freak. Paarth Humming State Lucknow carries a blissful environment with the outer flooring as well that has sand tiles on every part. Well there are few recreational activities in this like Gym, sauna, spa, clubhouse etc for the people who are staying there so that they can experience some more fancy in their life. The breadth taking innovative elements in this hub are simply awesome. If you want to live away from the chaotic polluted life then you should surely switch on to this place no doubt. There is a small cricket ground in the between which again keeps us occupied. Now let’s see some of the highlights in the project, there is open to sky cafeteria, Vaastu and feng shui complaint lobby space as well as rooms, Wi-Fi enabled zone, Optical fiber cable for a safe stay, Six screen multiplex, web/mobile based services, Gated security, faster and effective lift systems. So these all were the main key points of the venture which is a great choice for the people who want a fully fledged space. So go and book for the best now. The word ‘affordable’ is what prevails currently over almost the entire country. The government’s aim for housing for all seems to be in full swing and developers are also supporting them in this mission. Every state and city are doing their bit in order to provide affordable housing to all the people. Haryana is also actively participating in the same. The government of Haryana, in order to achieve this goal, has recently notified the “Affordable Plotted Housing policy of 2016” under the Deen Dyal Jan Awas Yojna. The policy will, therefore, facilitate the creation of affordable housing stock (additional) for the medium and low potential cities and towns in Haryana. Under the Deen Dyal Jan Awas Yojna, there will be the development of plotted high-density colonies in the medium and low potential cities and towns wherein through a liberal framework small plots are to be made available. All of these projects need to be completed within the span of seven years starting from the date they attain their grant license. In the policy, only 30 percent of the planned area under the residential zone (also includes 20 percent are for the housing projects) can be permitted for the projects. The maximum and minimum limit for the net area for these projects will be five acres and fifteen acres respectively. The maximum area permitted under the plot is 150 square metres. Also, 10 percent of the area of licensed colony would be transferred by the coloniser to the government for the community facilities. The 50 percent of the allotted residential plotted which covers the saleable area will be undertaken by the coloniser in the first phase, though the coloniser will continue the development work side by side on the frozen areas as well. For more go on IRX Blog. On comparing the office space transactions in 2014 and 2015, the average transacted office size leases across Bengaluru, Mumbai, Pune and Chennai have increased greatly when compared to the uncertain times seen in the first quarter of 2014. Ashutosh Limaye, the national director at commercial real estate Agency in India said that, the market spirit was really low in the first quarter of 2014, but after the general elections in May 2014, the market sentiment started improving gradually, taking the example of Mumbai which witnessed 65% rise in average deal sizes between Q2 2014 and Q2 2015. Limaye said that, the good days for commercial real estate are returning, and the number of transactions is increasing in all the major cities. Pune is leading with an impressive 89% year-on-year growth in the transacted space per deal, followed by Bengaluru (78%) and Chennai (67%). He also said that, occupiers are not just leasing the larger office spaces, but are also expecting the space to be on the same floor, because of which the developers are constructing bigger floor plates. This being the condition of commercial real estate, the residential developers like Ansal Plaza Vaishali are under high pressure and are owing to slow-moving sales and cash flow issues in the same cities. So, in order to keep the residential prices in a favourable range, the developers are building smaller apartments instead of lowering the price across major cities. In 2015, apart from marketing tactics like on-spot discounts and flexible payment schemes, it's been noticed that size of apartments is falling across the major cities in India. Mumbai stands first in the list of cities that witnessed largest fall in apartment sizes (5%), followed by Bengaluru, Chennai and Pune with 4%, 4% and 1% respectively. According to commercial real estate agency in India, the fall of apartment sizes in Mumbai from 2010 to present has been 26%. And for the same period, Bengaluru registered a fall of about 23.7%, followed by Chennai (22.7%) and Pune (7%). Average unit sizes in Chennai and Pune have been the lowest among all the four cities. While the configuration remains the same (2 BHK), the developers have reduced the size and have made it more compact. The possible reason for developers reducing the size of apartments might be to better suit the lower spending power of buyers. Also, the urban buyers these days are willing to live in smaller sized homes that are near to their offices. They prefer to live in a compact house that is equipped with all the basic amenities instead of spending hours of time in traveling. The developers can think of changing the apartment sizes prior to the completion of foundation without any hassles, as price correction is market-driven. This can definitely be a good move for developers, as they will be able to reduce the price and keep the configuration unchanged. Mira road is one of the sought after residential localities in the Mumbai real estate market. The market is emerging as a favourite destination for many home buyers. The locality is well connected with roads and rail. One of the major national highways, NH 8 pass through this locality gives the best connectivity. The area's connectivity to the major areas such as Mumbai, Thane and Navi Mumbai is an important factor leading to the growth of the area. The area is blessed with good social infrastructure facilities like reputed educational institutions and best healthcare facilities. The presence of good infrastructure has led to the rapid real estate growth of the micro market. The real estate market has seen good capital appreciation along with the developments. This makes the micro market an important investment destination due to the high rate of return. The area has various housing projects such as multistory apartments, builder floor apartments and individual houses. Mira road properties have witnessed a steady capital appreciation over the last five years. The micro market has a number of projects and the apartments in the locality are priced anywhere between INR 5800 per sq. ft. and INR 9000 per sq. ft. The area enjoys a good hospitality sector with the presence of famous restaurants and eateries. The area has everything from shopping malls, retail outlets, banks, ATMs, schools, colleges, hospitals, entertainment facilities and so on to provide a good lifestyle for the residents. If you are looking for properties in Mira road, you have a number of projects from famous builders and these projects are in various stages of construction. The area has a number of resale apartments available for sale. The micro market enjoys good physical infrastructure such as water supply, connectivity and power supply. Many infrastructure developments are in various stages of development. Infrastructure projects such as the proposed extension of metro rail project from Dahisar to Mira Road will further improve the connectivity of the area and will have an impact on the real estate market. The proposed Gorai and Bhayandar road's four-laning will have a positive impact on the real estate. There are other projects such as Multi Model Integration of Bus Services with Sub - urban trains of Mira - Bhayandar which will improve the connectivity and make the accessibility easier. The real estate market in Mira road is very active and the scenario is expected to remain the same in the upcoming days. Most of the projects here are targeted to supply the needs of the mid-income segment buyers. The market is considered to be one of the best investment destinations as the area sees good capital appreciation. The rental income of the micro market is high and this makes the area an ideal investment destination. India is the second highly populated country after China in the world. An increase in population causes various challenges in front of authorities to deal with. As we all know that, India is a country of village's and rural areas. But, now people are moving from rural parts of the country to urbanised areas. People today look for better educational, social, financial and healthcare facilities which can assist them in living a better life. Urban areas, cities and towns are often said to be far more developed in comparison to villages. But, truth is something else. True story of urbanized area lies in meeting challenges in order to provide various facilities needed for living. Challenges of Urbanization are housing, education, social and financial requirements of people. Housing Cities are the driving force of every country and India is not different in this case. Currently, 31 per cent of the Indian population is living in urban areas and is contributing 63 per cent in India's GDP growth. People are frequently switching to urban areas which have increased housing needs by 40 per cent. The increasing population in urban areas will contribute 75 per cent in country's GDP by 2030. Criminal Cases Besides, housing people need various other facilities for living. Cities are dealing with problems such as crime, weak law and order situation and unsafe atmosphere for women, kids and senior citizens. Local bodies need to address these issues as people want safe and secure area to live in. Criminal cases like murder, loot, threatening and kidnapping has put people's life in danger. The authorities need to take directive measures to stop these unsocial elements from harming people. Education Illiteracy is the challenge country is facing from years. Our constitution has provided right to education for all. Even then, kids specially the girls are stopped from getting the basic education. Now is the time to understand that you are powerless if you don't know how to read and write. Illiteracy has become a major barrier in the development of people. Due to lack of educational qualification people are unaware of their rights. And people often misuse them. In Delhi, the Delhi Development Authority (DDA) is going to construct number of quality schools and colleges where students from all sections of the society can get quality education. Social Development Until now, we have seen people being discriminated on the basis of caste, creed and religion. But, now people have understood that no person is bad or good only because of their basic characteristics. A person is judged from his/her abilities and society is happy as far as the person is not doing anything which is harmful to people. Even then numerous cases of unhealthy behaviour are being reported which has raised eyebrow of the concerned authority. This problem needs to be address from making Delhi a smart city in true sense. Financial Upgradation People will be highly paid only if they are properly educated. People move to cities in search of better career options but have to deal with crisis of employment. This problem has inspired the Government to collaborate with various companies to introduce set up in Delhi. It will help in solving the problem of unemployment and will upgrade people financially. We have been hearing the term Smart City. But, nobody knows what a Smart city is? There is no exact definition to describe a Smart City. So, we have tried to explain you What a Smart City Is all about. Smart City means a cluster of various facilities to different people. The concept of Smart City, changes from place to place, people to people and city to city. It all depends upon how much the city is developed and how much developmental work needs to be done to offer flawless living environment to the citizens. What is most important for building a Smart City is the willingness to change, reform, resources and dreams of the residents. The purpose of developing Smart Cities is to improve economic growth and living quality of people. This can be done by enabling local area development and latest technological support. Under the Smart City project, area-based development will change the current areas which include slums into a better living society to improve livability of the entire City. New areas better known as extensions are going to be developed around cities to accommodate the rapidly growing population in urban areas. The capital city Delhi is categorized into zones like L, N, K1, K2, P1 and P2 respectively. All zones will be developed under the monitoring system. Any builder or land developer design the layout of the township alongwith the facilities which are going to be provided inside the project. A smart city is full of updated infrastructural amenities to ensure smooth connectivity, business and educational opportunities and well maintained social atmosphere for living. In the row, to provide all these facilities, the Delhi Development Authority (DDA) has joined hands with citizens, urban planners and architects to design a consolidated eco-system, which will represent comprehensive development that includes institutional, physical, social and economic infrastructure. The areas can be developed in a smarter way with adding a layer of digitised system. Delhi Smart Cities will offer clean, green and pollution free environment for living. To achieve these proposed targets, the DDA has planned to introduce 'smart solutions'. It will help in disposal of solid waste through waste management system. This work will start from collecting garbage from your doorstep and the task will be completed with proper disposal of waste. All this will be done under a monitoring system. Delhi is going to be India's first smart city and actions will be taken accordingly to present it as a smart city model to other States & Union Territories of the country. The Smart City Project is the dream project of the Central Government and includes the entire nation. How to sale my home in Florida? Is this the question you are looking answer for? If yes, then this article may help you sell your Florida home without much trouble. Once you come to a decision to put your home for sale, it is essential to start considering yourself as a business person rather than a property owner. By handling the whole process from a simply financial standpoint, you will keep yourself away from the sentimental facets of selling the house that you have undeniably created a lot of memories in. You will definitely get top dollars for your property if you keep your emotions away. It doesn't matter whether you've hired an agent or doing it on your own, setting a realistic price is the secret. Do you remember the similar market evaluation you performed when you purchased a property to outline a reasonable offering price? Purchasers will do this for your house as well, so as a property seller, you must be one step ahead. Always keep in mind that overpriced properties don't sell fast. Don't concern too much regarding setting a value that is on the lower side because this'll produce several offers and bid the cost up to the property's exact market worth. In fact, under pricing your property can actually be a plan to generate additional attention to your listing. Winter, particularly around the vacations, is normally a sluggish period of the year to sell your home. In winter, people are generally busy with social celebrations and the cold climate makes it more attractive to just remain at home. Since fewer purchasers are likely to searching, you mayn't find a candidate soon. However, one can take some relief in understanding that while there mayn't be as many active purchasers, there also will not be as many opposing sellers. If you don't clean or maintain your home, then you are certainly reducing your property's value. Failing to do some basic maintenance work will not just decrease your sale price, but also prevent you from finding a sale at all. For instance, if you have not attended to negligible problems like a kaput doorknob, a prospective purchaser may doubt if the home has bigger, expensive issues that have not been addressed. Decluttering, cleaning properly, and applying a fresh layer of paint on the walls will certainly aid you make a great first impression on the potential buyers. Hunting Down Affordable Properties For a Better Life? You would surely agree if I said, "Affordability is one of the main quotients when it comes to buying a property". Not just because the property prices are rising each day or the nature of the real estate industry, but, because of the life one lives in a country like India. It would not be incorrect to consider this statement for all sections of the society as each one of us are inclined towards making a property purchase that not only suits our social stature but also fits into our budgets precisely. Speaking of the Wine Capital of India, Nashik, having seen the regular lifestyles everyone has in the city, it is quite obvious to watch people opt for better lifestyles and modern features to add much more comfort in their lives. With the enhanced infrastructure and ocean of opportunities in the city for growth of the professional lives of the people, the city is now one of the preferred destinations to buy property and settle down. 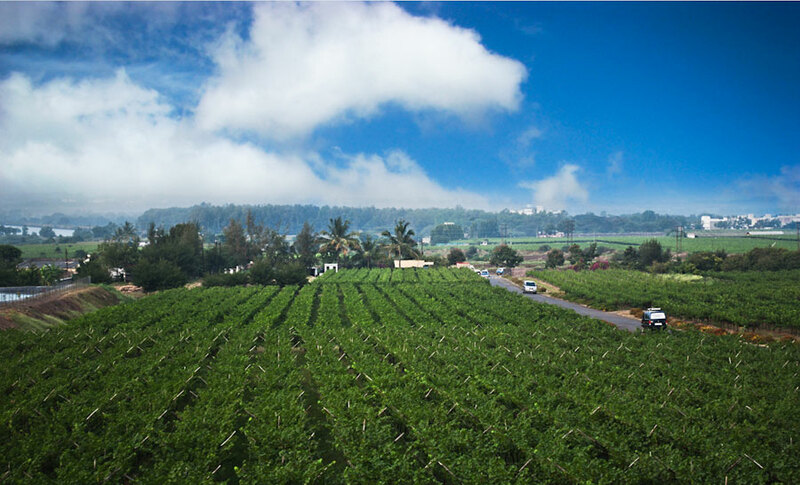 Thanks to its pleasant climate that makes it suitable for the people to live here to explore the mesmerizing views and famed wines and vineyards. They would surely not miss the opportunity to see their dream home turn into a reality in the city. Wait!!!!!!! Did you just read 'An opportunity to see their dream home turn into a reality'? Yes! We all dream to have a better living space and in a city like Nashik, that was once a calm and a quiet city, it is no less than a dream come true as now, the city not only has a developing modern infrastructure but, also, plenty of options in luxury flats in Nashik to blow the minds of the people with their affordable prices. Imagine living in your dream home in Nashik with all the basic modern lifestyle features that you chose from the numerous options of flats for sale in Nashik. Also, without compromising on the quality of life you had always imagined to have. Doesn't that look like an icing on the cake? Well! Absolutely, considering the property trends in nearby cities like Pune and Mumbai, Nashik is the city that is coming to the rescue of people who aspire to have a lavish home with modern lifestyles in affordable price range. And, not to forget the fame from wine and vineyards! Each day is like a party at home and a peaceful time at workplace with the beauty one can just not avoid! So, if at all you need hunt down a property that you can refer to as a home, don't' settle down with something that does not satisfy you! Explore luxurious flats in Nashik for the life you want to live! The commercial capital of India, Mumbai is home to some of the most expensive residential properties. Be it a normal 1 BHK apartment in the suburbs or a posh penthouse in South Mumbai, the real estate market of Mumbai always invites attention. If you’re planning to invest in the Mumbai real estate market, this could be one of the best decisions you have ever made. Though the overall state of real estate prices in the metropolitan region of Mumbai has remained tempered, there are certain areas in the verge of getting more costly. This is mainly due to the proposed infrastructure projects focusing on transportation and connectivity. Here are some of the areas that’ll witness an increase in property rates in the days to come. According to reports on properties in Mumbai, property prices in the sea-front of Madh-Marve will see an increase at a rate of 14.2% per year. 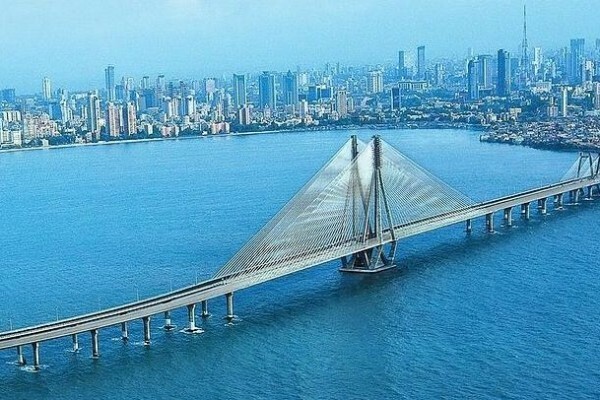 The proposed project of Nariman Point-Kandivali coastal freeway and Versova-Madhsea bridge will help increase connectivity, resulting in the rise of property prices in these areas. Reports say that there will be an average growth of Rs 13,500 per square feet on real estate properties. A report made by the consultancy firm Knight Frank expects a rise of 11.2% per year in the properties located at Majiwada-Kasarvadavali. This rise in property prices in Majiwada and Kasarvadavali will occur due to the proposed plan for construction of a metro rail corridor by the state government. The metro rail corridor from Wadala to Kasarvadavali is aiming for completion within the next five years. Currently, if you want to buy a property in Majiwada or Kasarvadavali, it will cost you Rs 8000 per square feet at an average. Over the past few years, property prices in Ulwe have already grown due to the much delayed Sewri-Nhava Mumbai Trans Harbour Link project. The anticipation for the proposed Navi Mumbai International Airport in Ulwe is also one of the primary reasons for the property price rise in the area. According to various reports, Ulwe will see a price rise 9.7% every year and residential properties in the area will costs you Rs 6,000 per square feet at an average. The low-profile localities in Mumbai are also being benefitted due to the rise in prices in the high-profile areas. Property buyers are now choosing property options in places like Sewri and Byculla as they offer good connectivity to most commercial hubs without costing a bomb. And as the prices of property in Wadala and Chembur have reached too high, people are finding options in residential locations like Vikhroli. Located close to Chembur and Wadala, Vikhroli is a nice option for home buyers. So, if you are planning to buy a residential property in the places mentioned above or invest in the real estate sector of Mumbai, you will definitely be benefitted as these places are expected to see a high price appreciation in a few years. This could prove to be the right time to invest your money in something profitable. What Makes Urapakkam an Investment Hotspot in Chennai? The city of Chennai encounters a transformation in the real estate sector that showed stunted growth and insignificant change in the capital values. When the whole country's real estate scenario is murky, this city shows a ray of hope due to the development and construction of the Metro Railways, the first phase of which is up and running. According to the Globalncr.com Insite Property Report, the city has extensive inventory stock that has discouraged the spirits of the investors. However, due to the thriving areas in Chennai like Urapakkam, the city still eyes ongoing construction work. Urapakkam is a fastest growing region in the suburban region of south-west Chennai. Beaming with life, the area is situated on NH45 enjoying great connectivity. The area is in the Kanchipuram District that is graced by the presence of vital roads in and around. The Urapakkam Railway Station runs through the area making commutation for residents easy. It is in the vicinity of the emerging areas like the Vandalur-Kelambakkam Road, Outer Ring Road, and SP Koil-Oragadam-Sriperumbudur Road. This place is also proffered with a bus stop and is close to the airport to facilitate travelling. The area also has all the civic amenities in place. Though growth is not uniform throughout the area yet it has a fully operational Electricity Board and Panchayat Office. The Gold Souk Grande Mall is under construction that will look after the daily shopping needs of the employees. The area has premier educational institutes and medical facilities satisfying the needs of the people residing here. 1). Urban Tree Superb: This ongoing residential development by the Urban Tree offers 1BHK, 2BHK and 3BHK apartment constructed over a huge 3acres of land. The project is constructed in pollution free environment amidst plush green landscape. The spacious rooms with exceptional specifications portray refined and skilled construction work. The site is also in the process of earning an IGBC gold rating which is a green building certification. Constructed in a self-contained locality, the project offers a range of modern amenities that include a multipurpose hall, play area for kids, open space, video security, swimming pool, intercom, gym, firefighting equipment, power backup, parks and gardens, rainwater harvesting, lift, car parking, sewage treatment plant, Wi-Fi connectivity, piped gas, and staff properties. This Vastu compliant construction is available at a price range of Rs. 26.97 Lakh to 48.3 Lakhs for a floor plan of 548sq.ft. to 1303sq.ft. 2). South India Shelters Marakesh: This elegant construction work by the reputed South India Shelters property builders is ready for possession. Constructed over 4.62acres of land, the plan offers 2BHK and 3BHK apartments that is located close to all the social amenities. The project is loaded with all the new age amenities like paved compound, play area for kids, intercom, swimming pool, gym ,power backup, sewage treatment plant, Wi-Fi connectivity, and car parking to name a few. The 632 - 1050 sq.ft. apartments are available at a price of Rs. 26.54 Lakhs. Therefore, this region offers a range of properties that makes it a favorable destination for rented accommodation and also satisfies the needs of the buyers. The modern age is witnessing a tremendous growth of the metro cities in the extensive expanse of real estate Kolkata. It won't be wrong to say that the real estate industry in Kolkata have envisaged an enormous growth since last few decades. By proffering ample luxury options to the residents, blooming residential projects in the City of Joy have succeeded to entice a massive crowd from here, there, and everywhere. The skyscraper apartments, offering outstanding architectural brilliance and stupendous living amenities, have gone to a great length for complementing the high-end cosmopolitan ethos of the citizens. The inflow of revolutionary real estate trends have led to an appreciation of the entire quality of residential projects in Kolkata. Among a number of imminent housing projects in the city, the real estate hub in Rajarhat is worth applause. Having initiated its endeavor a couple of years back, the thriving realty industry of Kolkata have experienced a huge popularity these days. Emerged with the prime objective of buying, leasing, growing, and hiring both the commercial as well as residential complexes, the realty hubs in Kolkata have been successful in hitting headlines regularly. It won't be exaggerating to state that the luxury housing complexes in Rajarhat have played a highly crucial role in leading Kolkata down the path of victory and success. The excellence and resolute reputation of the apartments in Rajarhat can be attributed to the quality, efficiency, trust, transparency, a bunch of meticulous construction strategies backed by impeccable design, architectural brilliance, quality, prompt work culture that puts stress on utmost professionalism and pondered diligence. Most importantly, it is their passion to excel, which has always helped these blooming realty projects reach the topmost crest of affluence and prosperity. 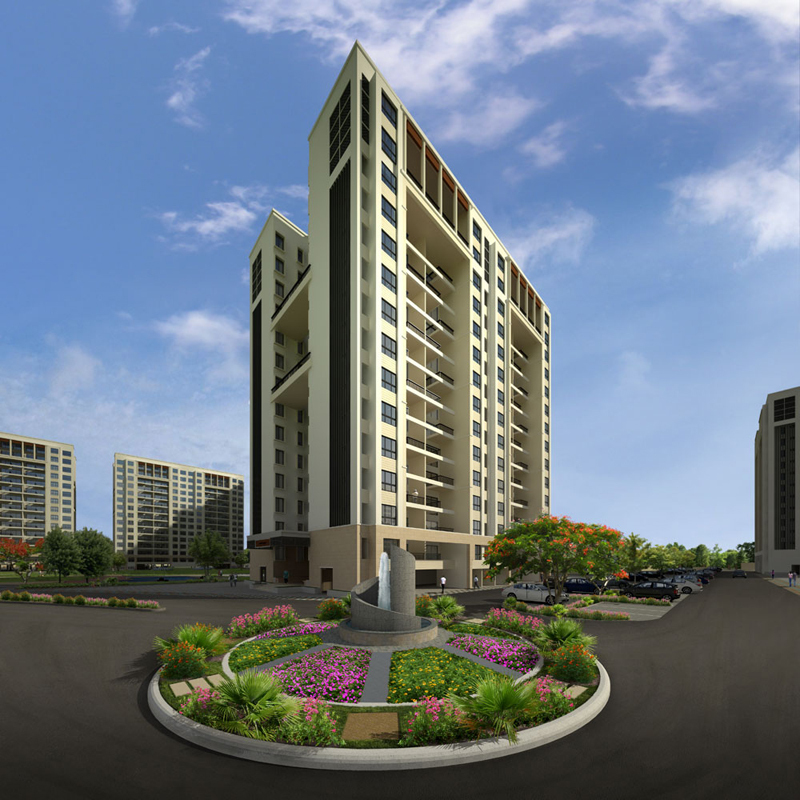 Having unfolded its territory in a strategic location at Rajarhat, the skyscraper flats in Rajarhat for Sale have successfully drawn the crowd from everywhere. The residential projects' proximity to the IT sectors, renowned shopping complexes, reputed educational institutions, and prime healthcare centers etc. have helped them facilitate their residents to a great extent. Providing many impeccable living amenities including specious apartments, encompassing lush greenery, and tons of arrangements for recreational activities etc. the completed housing complexes in Rajarhat have successfully complemented the high-end cosmopolitan ethos of the metro citizens. This blog is under of Global NCR, which is an internet portal dedicated to meet every aspect of the consumers needs in the real estate industry.